Since we left the boat and returned to Maine, many, many people have said something similar to “Welcome back to the real world”. I realize now that I can’t agree…. Real world? I don’t think so. I think what most people call the “real world” is in fact a cultural construct designed to strangle the spirit and drown the soul in despair, all while distracting the ego with the meaningless candy of consumerism. The REAL real world is sunrise and moonset, rain and wind, sand bars and sunshine and light so pure it brings tears to your eyes and a song to your lips and you can hardly breathe for the beauty of it. That’s what I learned from 9 months on a boat. 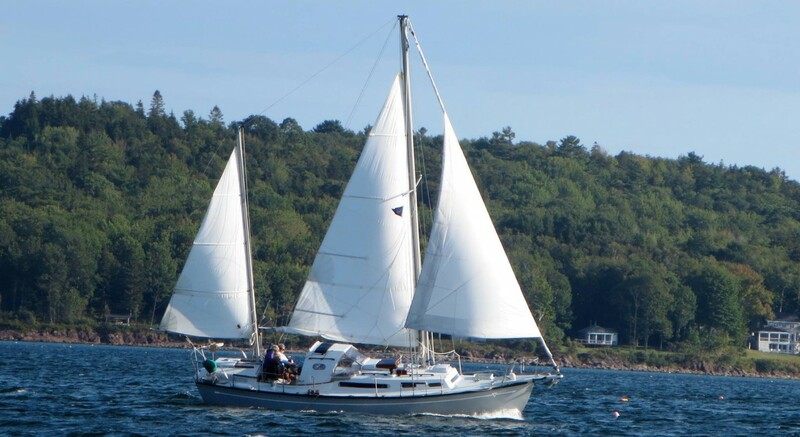 Categories: Attitude, Cruising, Social | Permalink. 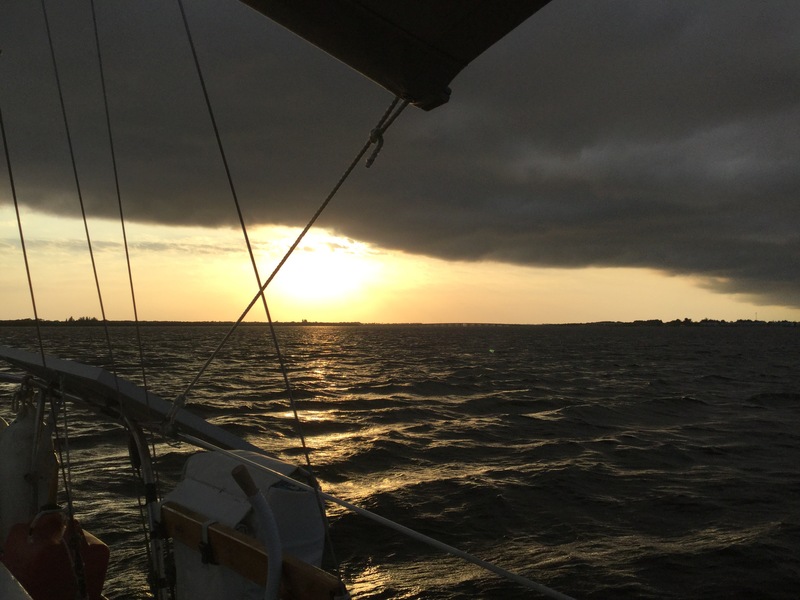 We left Bradenton FL about 10am Tuesday, and spent that night in Florence, South Carolina. It was sunny, it was warm. Today we got a slightly earlier start and traversed the rest of SC, all of North Carolina, Virginia, West Virginia and Maryland (those two are pretty skinny when you’re on interstate 81!) plus a bit of Pennsylvania, landing just south of Harrisburg PA. But you know, we lucked out! There’s a diner just across the road from the Budget Inn which – it turns out – is a combined effort between a mom & pop diner and an Indian restaurant. The Tika Masala was awesome! Gotta love little surprises! We sure do miss real life, though. You know – Cruising? It appears that I’ll be breaking my own rule about this blog. I’ve made it a policy to post chronologically these last couple of years. It seemed the fairest way to present the story, easier for readers to follow, and easier for me to avoid repetition. But as our time in this first cruise runs down, I’ve become strangely reticent about investing the time in keeping the story current. In part, that may be due to the temperature: it’s May 3rd as I write this, and it’s been 90 degrees this afternoon, even in the shade under the sun awning. It’s hot, and there’s hardly a breeze. Weather like that doesn’t give you much motivation. 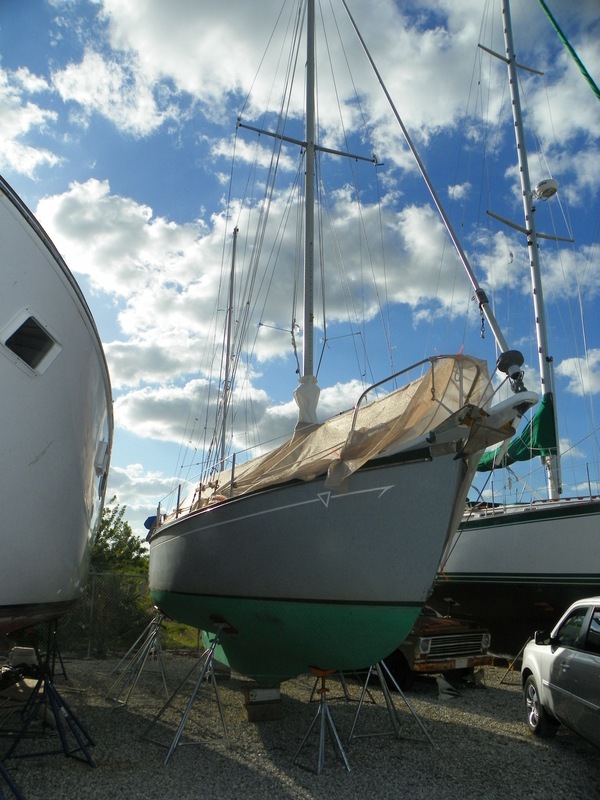 Today we moved Sionna into the canal which leads to the boat yard where we’ll be storing her – on the hard (out of the water) – while we return to Maine for the summer, more eye surgeries, and hopefully some paid work. When we set out for this trip, we had many expectations that we tried to suppress, and we had dreams and plans which we have – largely – followed. Much of that we’ve accomplished, while some – like sudden blindness and surgeries – was more adventure than we’d ever have chosen. It’s been good. But we’re left wondering, too. Wondering about the paths we didn’t take. Wondering how we may have changed in this 9-month odyssey. Wondering how Maine and Rockland may have changed, and who we’ll see first as we greet old friends? And we wonder how it’ll feel to leave Sionna – very much our home, and now very much our partner and friend – in the hands and land of strangers. 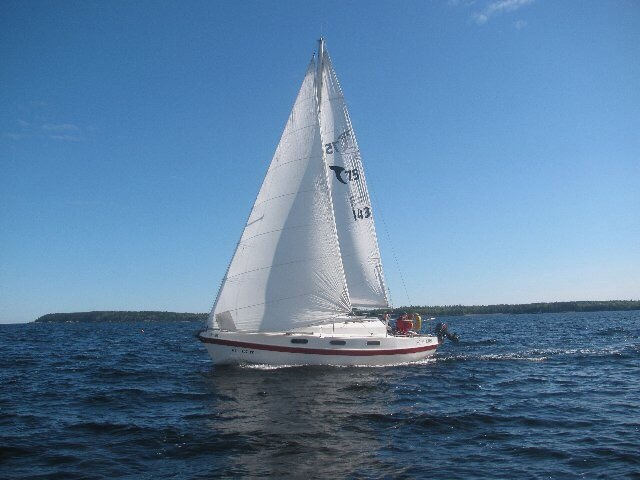 Categories: Facilities, Sailboat | Permalink. …to quote Jimmy Buffet, of course. But what after the cruise? What happens then? Well, you put the boat in storage, of course. Which is more complicated than it sounds. The problem with storing a boat, anywhere, is that it likes to collect moisture when it’s all closed up, and that moisture is almost certain to lead to mold and mildew growing inside. The problem is compounded when you store it in a humid, hot climate – say, Florida. So of course that’s what we’ve done. But there are steps one can take to minimize the risks of mold and insects and rodents, and all those creepy-crawly things we’d rather not think about. First, you get the boat away from the water. 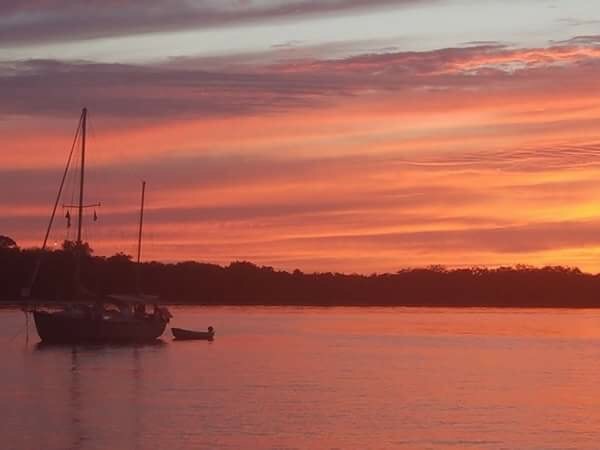 In our case, that meant a trip up the Myaka River in central Florida, passing through a lock into a fresh-water canal, and motoring 9 miles around a huge development area to a little boat yard that had very good rates for long-term storage (cost is ALWAYS an issue on Sionna!) and a good reputation. And that fresh water canal served a very important purpose – it washed all the corrosive salt water out of Siona’s engine and the dinghy’s outboard motor. We also took the opportunity to run both anchor chains out into the water to take the salt off of them, the anchors, and then – in a fit of rinsing – Nicki took bucket and brush and washed down the decks and such. There’s nothing like a clean boat to make you feel happy! So one of the neat things about having the boat lifted out of the water this way is that the machine used (called a “Travel-lift”) has a scale which can tell you how much your boat weighs. This is significant because we’ve never known what Sionna weighs, and we were curious. 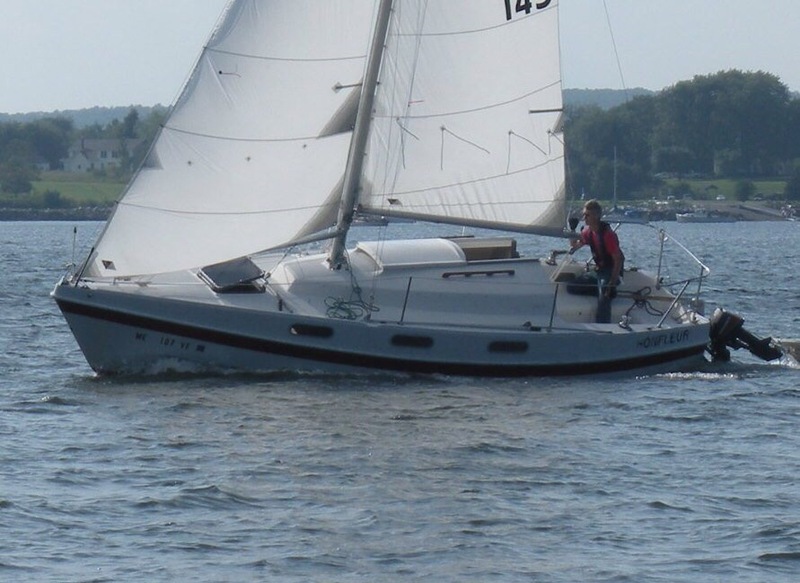 The manufacturer’s specs say 12000 pounds, but that’s usually derived from the engineer’s plans, and actual boats are usually heavier than that. In addition, Sionna is fitted out for cruising, with all the extra gear and personal effects that collect when you live aboard for an extended period. 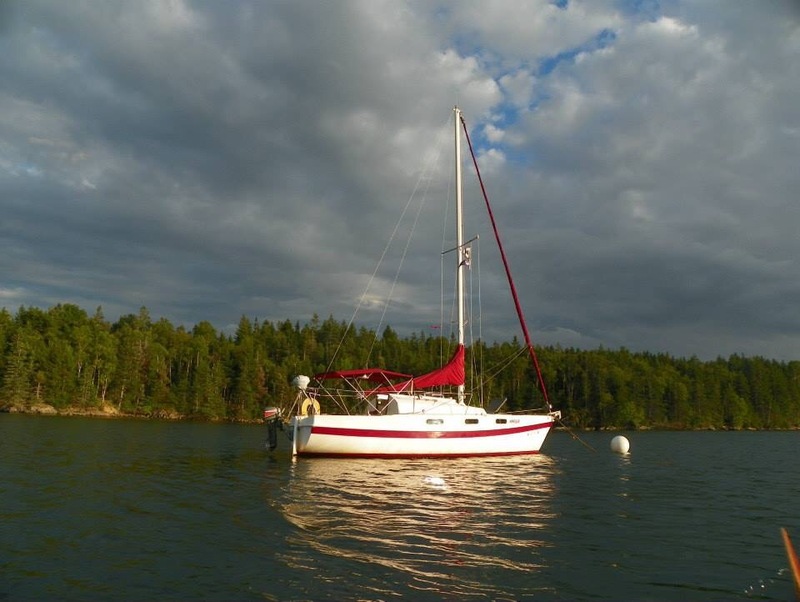 I’ve mentioned before that before we launched her in June 2016 we raised the waterline 1.5″, anticipating that she’d sit a little lower in the water once we were loaded, and sure enough, that inch and a half disappeared by the time we were ready to leave Maine last summer. My mental guesstimate said that we were probably about 14000#, and darned if that’s not just what we learned! Of course we had empty water tanks and half fuel, so add another 700, plus food. And wine… Figure the better part of a ton-and-a-half of stuff, all told. It’s no wonder she sails just a little slower these days than she once did! Anyway, in spite of our nervousness, the haul-out went without a hitch, they washed the bottom off (much less fouling than we expected – I guess that Neptune V bottom paint works better than we feared! ), and Sionna was set in a truck and hauled by road a mile to the storage yard. Everything soft – clothes, food, cushions – anything that could hold moisture and mold or molder was removed. 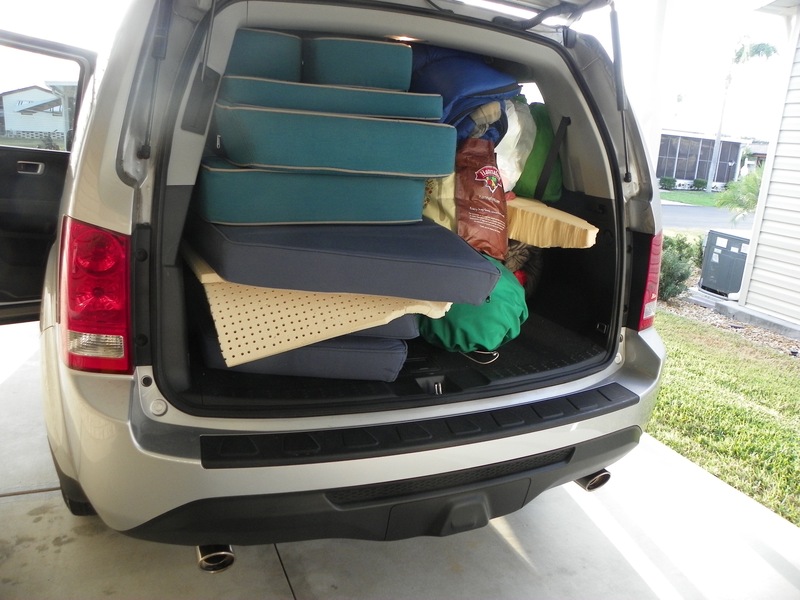 That turned into two full loads in a Honda Pilot which – if you haven’t seen one – is NOT the little Honda I grew up with! Then while I was filling the diesel tank, packing up the sails, securing the rigging and stuffing coarse stainless steel wool into every possible rodent or insect entry port, Nicki was busy scrubbing the inside surfaces of the boat to prevent mildew, washing the bilge, and just generally doing a total make-over kind of spring cleaning so that – hopefully – when we return to Sionna in October, she’ll be immediately habitable. 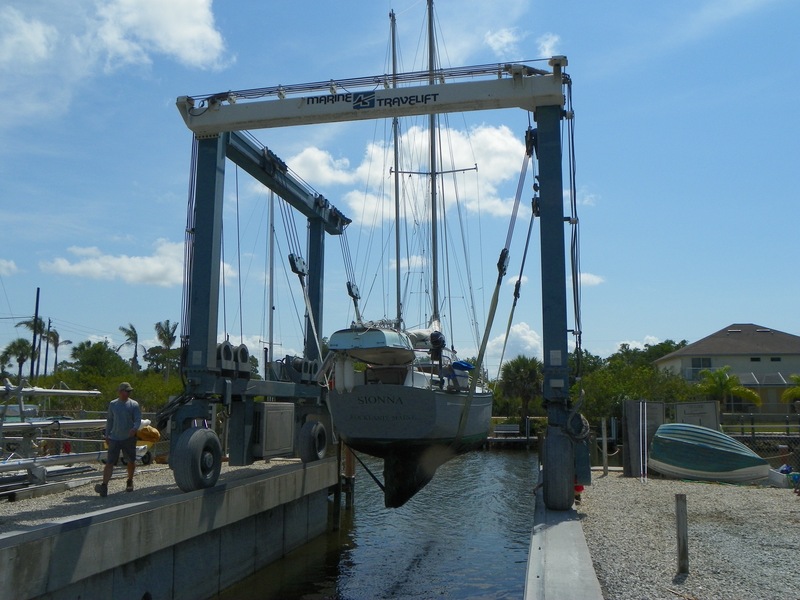 And our last task before bidding her farewell was to lock up (she had no way to lock the hatches – I added that too) and cover the deck with shade cloth to keep the temperature down inside during the Florida summer. All that stuff we took out was transported to Nicki’s parent’s house, where it now occupies an entire spare room. How did we ever get that much stuff into a 32′ boat? And how are we going to get it all back in?? Ah, the glamor of the cruising lifestyle. Tiki bars and umbrella drinks, my sweet aunt!